Is it just a field of sheep? Or a multi-billion dollar industry, ripe for tech industry transformation? As Silicon Valley scrambles to take a slice of the impending boom, find out how the Internet of Things (IoT) is changing the future of farming. Precision Agriculture uses analytics to inform decisions and optimise yields. Topping Gartner’s latest Hype Cycle, this data-driven form of farming is likely to be worth $3.7 billion by 2018. 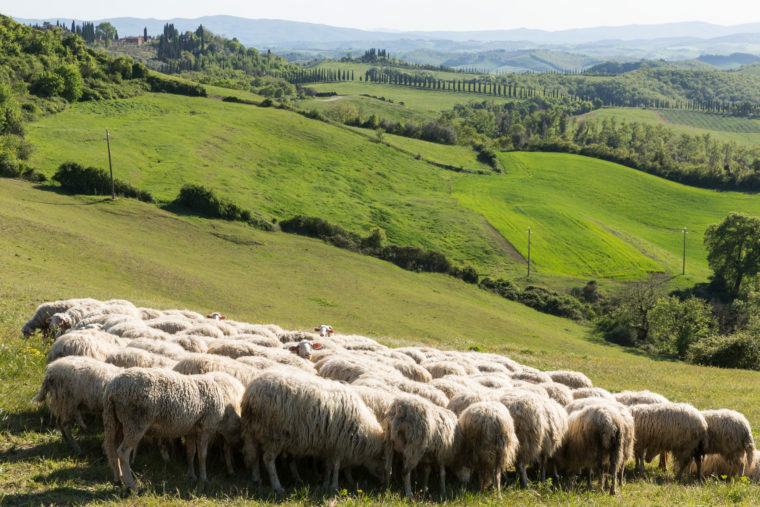 With the help of some innovative startups, next-gen technology is being spliced with centuries of farming intuition to create real-time pastoral strategies – saving you time, money, and risk. Combining physical devices (computers, sensors and phones) with network services (over the web), the concept allows farmers to make informed decisions to get the most from their crops and livestock. Starting with a multitude of sensors (measuring anything from soil and air quality, humidity and temperature to livestock numbers), and satellite imagery (a drone helps), farmers can create a live ‘map’ of their property with real-time data added as regularly as by the minute. This data can be coupled with anything from predictive weather patterns to pesticide updates, and wholesale market prices, to help farmers plan ahead. Armed with new tech tools, they can make smarter decisions on when to fertilise and irrigate, to the ideal harvesting and transportation periods, feeding into predictive models for the years ahead. I get it, but what will it mean for me? An agribusiness research study from IBM found that of the 90% of cases where crops were lost could have been prevented, 25% through precision agriculture techniques. The ability of these systems to set up automatic alerts, reminders, and warning systems can halt deficiencies in their tracks. Imagine being able to follow a single piece of produce, from the quality of the soil it’s planted in, all the way to the supermarket — pinpointing where complications arise (from storage to transportation stress) and fixing them immediately from your mobile device. Beyond crops, livestock management is presenting similarly fertile ground. Right now, drones equipped with thermal imaging cameras can spot abnormal body temperatures (indicating disease), and motion trackers on individual animals observe herd movement patterns. By using tech to find unhealthy patterns in livestock before they spread, farmers can solve the problem at its root. A 24/7 eye on the field will make the many hoops of compliance and regulation, like pesticide, crop quality, and genetically modified crop maintenance easier to jump through. A smart alert system will keep farmers up to date with current requirements, storing the data for easy access, and streamlining time-sapping reporting periods. Precision agriculture can also assist in areas of farming insurance — particularly loss assessment in using accurate data to ensure sufficient reimbursement in areas of pesticide drift, fires, and poor product. It goes without saying that increasing efficiency will mean less wastage. Less crop damage will occur due to optimised maintenance strategies, transportation stress avoidance and livestock monitoring can be set to fix concerns where they arise, rather than a blanket approach to all. Companies like Kenya’s M-Farm act as a ‘market watch’, alerting you when wholesale supply prices are at their market low as an upper hand against the competition. Picture a system where your phone alerts you that cow feed is running low, along with a 5-day price prediction so you purchase for your convenience and you’re half way there. This is not a fantasy. Precision agriculture tech is readily available, finding success from the USA to Africa. Right now, the Australian government is providing up to $200m in research grants for innovative businesses exploring agricultural technology. Unfortunately, Australia’s regional network is holding back the potential for Australian farmers to service this tech on their own properties. At Vodafone, we believe that increased regional telecommunications investment will help Australian farmers safeguard their future.